Connectwell Switching Power Suppliers Redundancy Module SWPS-RD-M, Suppliers In India. Specifications :Input Power : 25 WattInput Voltage : 170-264V ACEfficiency : >85%Output Curent : .. Specifications :Input Power : 120 WattEfficiency : >82%Output Curent : 0-10ADimension : 180 X 70 .. Specifications :Input Power : 150 WattEfficiency : >80%Output Curent : 0-12.5ADimension : 200 X 5.. Specifications : Input Power : 60 WattEfficiency : >80%Output Curent : 0-5ADimension : 160 X.. Specifications : Input Power : 50 WattInput Voltage : 170-264V ACEfficiency : >85%Output Cur.. Features:Voltage Rating : 100VDC / 230VACCurrent Rating Input : 10A max.Current Rating Output : 5A p.. 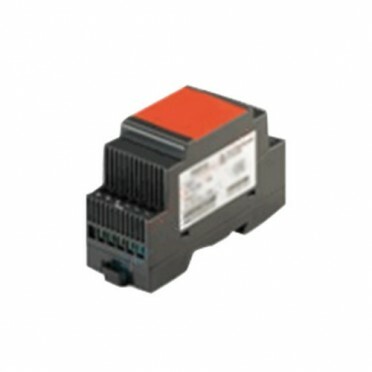 Features:Voltage Rating : 100VDC / 230VACCurrent Rating Input : 20A max.Current Rating Output : 5A p..